Alto sax is a passion for Tom Kelley, and when it almost got him to the Grammy Foundation Jazz Ensemble last year, he resolved to get there this year. "I looked up the group and I listened to a lot of things that they did," he said, "and it was incredible." This February, the Canton teen be part of the group, playing after the Grammy awards and at events during the week before the show. 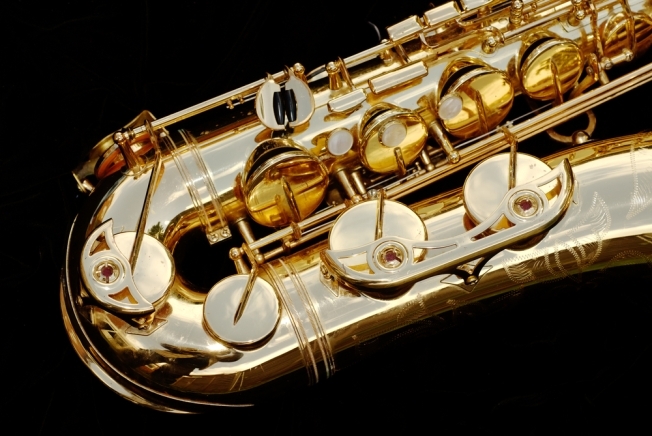 He's one of just two alto sax players in America selected to play in the band. "I've been working on really listening to everything else that's going on. That's one thing I've heard over and over again. Listen, listen, and it's really improved the way I play," he said. He started playing piano at the age of 4 and picked up the saxophone when he was in fourth grade. His teacher was and still is his grandfather, John Mills, who used to teach music at Newington High. Canton High's music director is happy to have the hard-working Kelley, a junior. "He's a wonderful student, wonderful kid and he helps everybody out," said Tom Scavone, "He's just an all-around great student." Kelley said he'd like to play professionally or teach music in college. But first, it's off to LA for the Grammys.